Packaging: 1pcs get into one polybag,12pcs get into one big polybag. 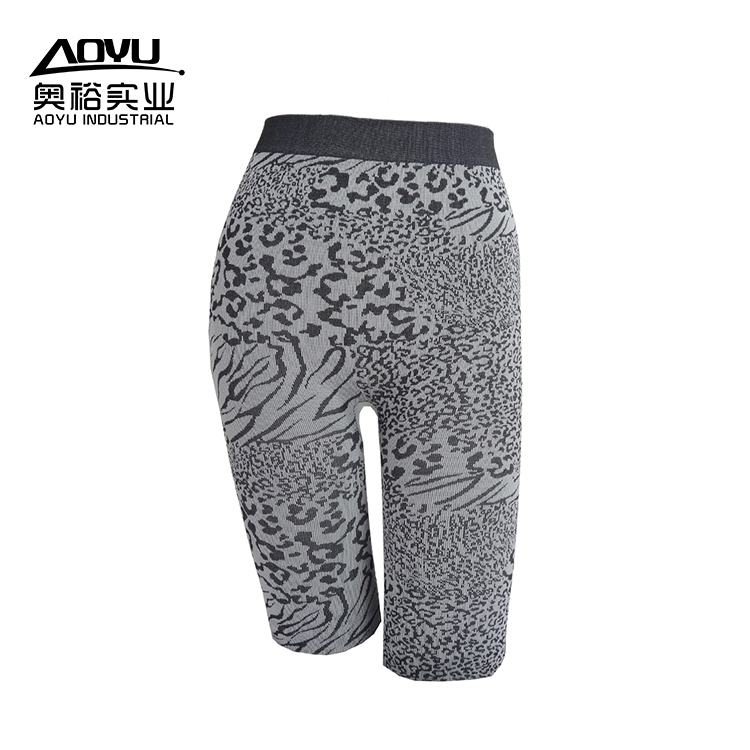 Product With Black Leopard Yoga Pants,Can Customized pattern,Wear Set Up Comfortable And Casual,The Product Name Is Custom Casual Sportwear Black Leopard Seamless Women Yoga Pants,Its Main Keywords Casual Sportwear Seamless Yoga Pants,Custom Seamless Yoga Pants,Sportwear Yoga Pants, Made By A Series Of Processes Such As Yarn And Knitting.We Can Provide You With Samples,You Need To Pay For Shipping.,Its Big Classfication Product Type Is Casual Sportwear,The Feature Has Breathable Quick Dry,Anti-Bacterial,Seamless,The Quality Has Nylon,Polyester,Cotton,Quality Can Customized,The Quality Different,The Price Different too. 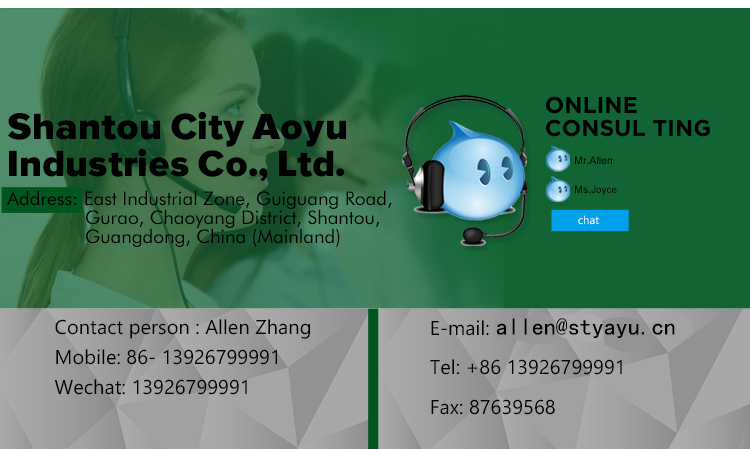 Shantou City Aoyu Industries Co.,Ltd. Shantou City Yayu Co.,Ltd,was established in 1993 and is a professional manufacturer and exporter concerned with the design,development and production of breast-lactation bras,ladies` Underwear,Seamless Underwear,sports vest,etc,we are located in shantou,with convenient transportation access,all of our products comply with international quality standards and are greatly appreciated in A variety of different markets throughout the world,we have over 200 employees and anannual sales figure that exceeds USD 10 million and we-equipped facilities and excel-lent quality control throughout,all stages of production enable us to guarantee total customer satisfaction. We are a professional underwear manufacturer,which has been exported for nearly 12 years. Q3.Can we make our own brand? Yes,we can provide OEM/ODM services.we have a different style of sample for you to choose. The project can be customized. Q4:Can you provide me with a sample? Q5:When is the time of delivery? 45 days after the deposit is generally received. Q6:What is the way of payment? 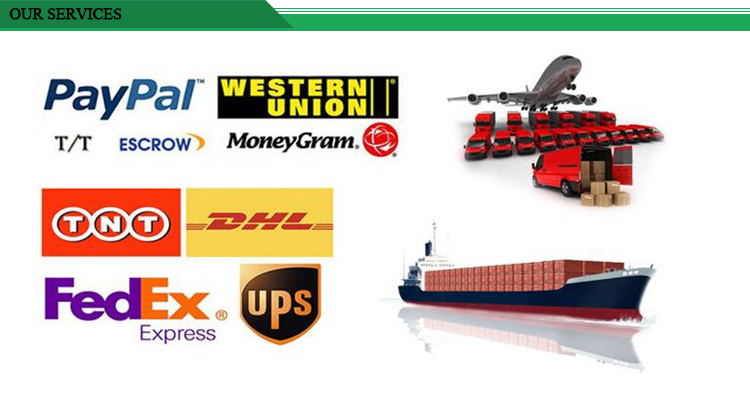 Amswer.1.T/T,L/C,the waty of payment can be negotiated2,more money is 30% deposit,and 70% is paid by wire transfer before delivery. Looking for ideal Women Yoga Pants Manufacturer & supplier ? We have a wide selection at great prices to help you get creative. All the Black Leopard Seamless Yoga Pants are quality guaranteed. We are China Origin Factory of Custom Seamless Yoga Pants. If you have any question, please feel free to contact us. Copyright © 2019 Shantou City Aoyu Industrial Co., Ltd All rights reserved.